Juvenile arthritis affects children of all ages and ethnic backgrounds. 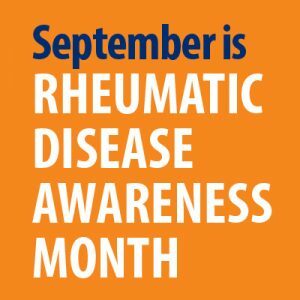 About 294,000 American children under age 18 have arthritis or other rheumatic conditions. Juvenile arthritis is usually an autoimmune disorder. As a rule, the immune system helps fight off harmful bacteria and viruses. But in an autoimmune disorder, the immune system attacks some of the body’s healthy cells and tissues. Scientists don’t know why this happens or what causes the disorder. Some think it’s a two-step process in children: something in a child’s genes (passed from parents to children) makes the child more likely to get arthritis, and something like a virus then sets off the arthritis. What Are the Symptoms and Signs of Juvenile Arthritis? Swelling in lymph nodes in the neck and other parts of the body. Most children with arthritis have times when the symptoms get better or go away (remission) and other times when they get worse (flare). Arthritis in children can cause eye inflammation and growth problems. It also can cause bones and joints to grow unevenly. How Do Doctors Find Out if Your Child Has Juvenile Arthritis? A team approach is the best way to treat juvenile arthritis. It is best if a doctor trained to treat these types of diseases in children (a pediatric rheumatologist) manages your child’s care. However, many children’s doctors and “adult” rheumatologists also treat children with arthritis. Doctors who treat arthritis in children will try to make sure your child can remain physically active. They also try to make sure your child can stay involved in social activities and have an overall good quality of life. Doctors can prescribe treatments to reduce swelling, maintain joint movement, and relieve pain. They also try to prevent, identify, and treat problems that result from the arthritis. Most children with arthritis need a blend of treatments – some treatments include drugs, and others do not. How Can You Help Your Child Live Well With Juvenile Arthritis? Get the best care possible. Learn as much as you can about your child’s disease and its treatment. Treat your child as normally as possible. Encourage exercise and physical therapy for your child. Work closely with your child’s school. Work with therapists or social workers. Do Children With Juvenile Arthritis Have to Limit Activities? Pain sometimes limits what children with juvenile arthritis can do. However, exercise is key to reducing the symptoms of arthritis and maintaining function and range of motion of the joints. Ask your health care provider for exercise guidelines. Most children with arthritis can take part in physical activities and certain sports when their symptoms are under control. Swimming is a good activity because it uses many joints and muscles without putting weight on the joints. During a disease flare, your child’s doctor may advise your child to limit certain activities. It will depend on the joints involved. Once the flare is over, your child can return to his or her normal activities. What Are Researchers Trying to Learn About Juvenile Arthritis? Scientists are looking for the possible causes of juvenile arthritis. They are studying genetic and environmental factors that they think are involved. They are also trying to improve current treatments and find new medicines that will work better with fewer side effects. The role of an inflammatory chemical called interleukin-15 (IL-15). If you need more information about available resources in your language or another language, please visit our website or contact the NIAMS Information Clearinghouse at NIAMSinfo@mail.nih.gov. The information in this publication was summarized in easy-to-read format from information in a more detailed NIAMS booklet. To order the Juvenile Arthritis Q&A full-text version, please contact NIAMS using the contact information above. To view the complete text or to order online, visit http://www.niams.nih.gov. This publication is not copyrighted. Readers are encouraged to duplicate and distribute as many copies as needed.